I have no idea how i would react if i got injured ending up being paralyzed. I just can´t imagine not to be able to walk or having a life with no sight or anything that makes me not do what i do. Maybe i would be depressed and live my life in bitterness and pain. Maybe i would fight it and to the best of the only life i got. In september 2013 trials legend and superstar Martyn Ashton broke his spine leaving him paralyzed. Ashton was one of the riders in Road Bike Party 2 and honestly i did not now he had an accident until this popped up on youtube. 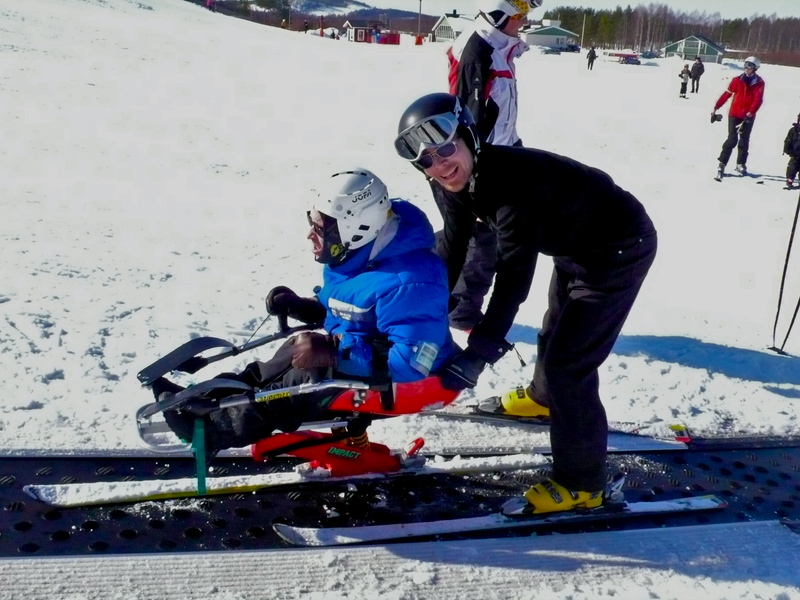 A few years ago i was privileged to voluntary work with people with disabilities as a ski instructor. I went on a one week course i Åre at a amazing place called Totalskidskolan. Here i learned that everything is possible. Everybody can ride. I once taghut a guy paralyzed in a snow mobile accident riding sit ski. He was an ex snowboarder. And to see him back in the slopes was just an amazing moment. Un fortunately i don’t have the time to do this anymore but it is something i really want to do again. To have the will and courage to get back on two wheels after getting hurt is truly astonishing. The smile on his face and the support from friends is just unbeatable. I lift my hat for everyone who is struggling out there and thanking them for reminding me how lucky i am to have life and my health. I only wish i could be like you if something would ever happen to me.